Honeywell has been a top contender in thermostats for decades. The RTH9580WF is great addition to their wifi thermostat series. It has a snappy touchscreen and very intuitive user interface. A C-wire is required which could be a disadvantage for some. Smart home technology has become a huge interest for home owners in the recent year. Honeywell has been in the thermostat business for many years. With their industry leading track record of products, their intro into the smart thermostat market is one to keep an eye on. The wifi thermostat has become a staple for entry level home automation. 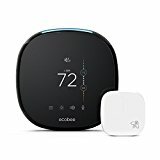 The Honeywell Wi-Fi Smart Thermostat has a great feature set without the limitations of the Nest and Ecobee thermostats. Honeywell has taken a more elegant look with the RTH9580 thermostat. Front and center is the large color display that provide a great view of the basic stats. The touchscreen buttons perfect size for easy tapping without mistakes and all the fonts are at a nice readable size. The touchscreen responds quickly to taps and screens load with promptly. For weather conditions, only the outdoor temperature is displayed. Many other wifi thermostats include the 5-day weather forecast. I however, would never really think to check my thermostat for the forecast, it is much easier to be viewed from my iPhone. Thermostats have never been much to look at but I really enjoy the look and feel of this smart thermostat. The fun custom color settings is nice little feature that takes away the dull boring look. The app interface is easy to use and has many great features for connecting to your wifi thermostat from around the world. 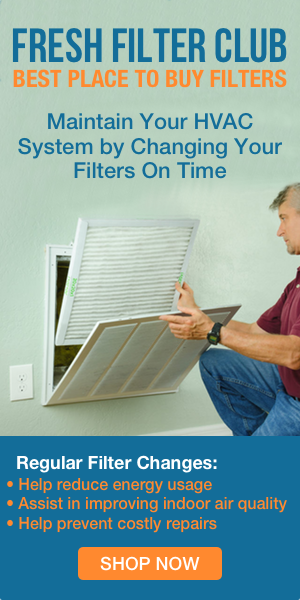 It allows for adjusting the temperature, view indoor and outdoor temperature and humidity, view 5-day forecast, set system to heat/cool/off, set fan to on/auto/circulate, program 7-day temperature schedule, and set specific adjustments for one-tap settings called “wake, leave, return, sleep”. The app allows for granted limited access to additional users, such as baby-sitters or visiting family. The website allow for all the above as well as many great features. Email notifications are an awesome way for the wifi thermostat to notify the homeowner when the homes temperature conditions are not normal and when they return to normal. Also, the notifications can include when connections are lost to the Honeywell servers and when a demand made by the app or website failed to reach the wifi thermostat. The kit includes everything to an easy installation. A C wire is required. It’s as simple as removing the old unit from the wall, mounting the new plate, matching the wires to the new terminals, and placing the new one in place. Once everything is connected and powered on, a prompt walks through connecting to the wireless internet and entering any necessary passwords. 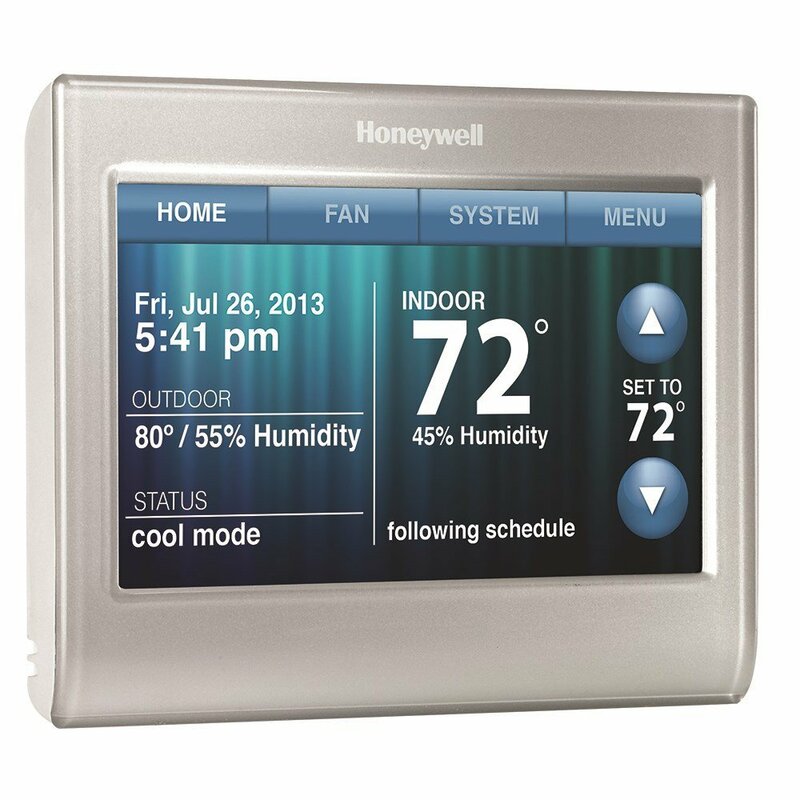 Note your thermostat’s MAC address, this is needed to setup the free account on the Honeywell website. Honeywell has provided an easy to use compatibility tool to check if your system works with the RTH9580WF unit. The thermostat should work with most heating, cooling, and heat pumps applications with multi and single stage systems. 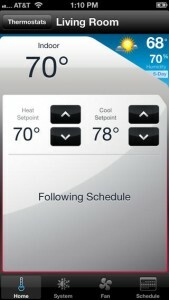 Honeywell’s entry into the smart thermostat industry earns a place in my Top 5 Wifi Thermostats. 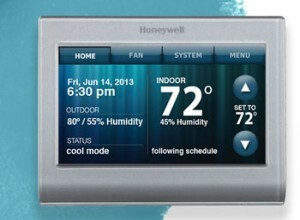 The Honeywell Wifi Smart Thermostat offers a modern look and user friendly experience. One drawback to choosing the Honeywell Wifi Thermostat over the Nest or ecobee is the lack of data reports. Some smart thermostats provide a great overview of historical data that can help with troubleshooting energy bills. Many Amazon reviewers have researched into the Smart Thermostat vs the Nest thermostat. Most found the Honeywell RTH9580 offered a much more appealing feature set while maintaining functionality. Some links are Amazon Affiliate links. If you buy a wifi thermostat through one of our links, we’ll get a small % of your purchase at no cost to you. Thanks for your support!